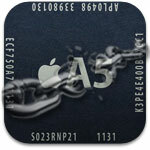 Pod2g’s latest blog post provide more info about the iPhone 4S and iPad 2 jailbreak in the form of an FAQ. How could pod2g have an untethered 4S and dev teams still haven’t released tools to achieve this at home ? Why A4 version of Corona was easier to release? Why don’t you do a tethered jailbreak then? A tethered jailbreak also relies on an exploitable vulnerability that we still haven’t found yet!